It is the second Advent Sunday. I made a card for this bright time. 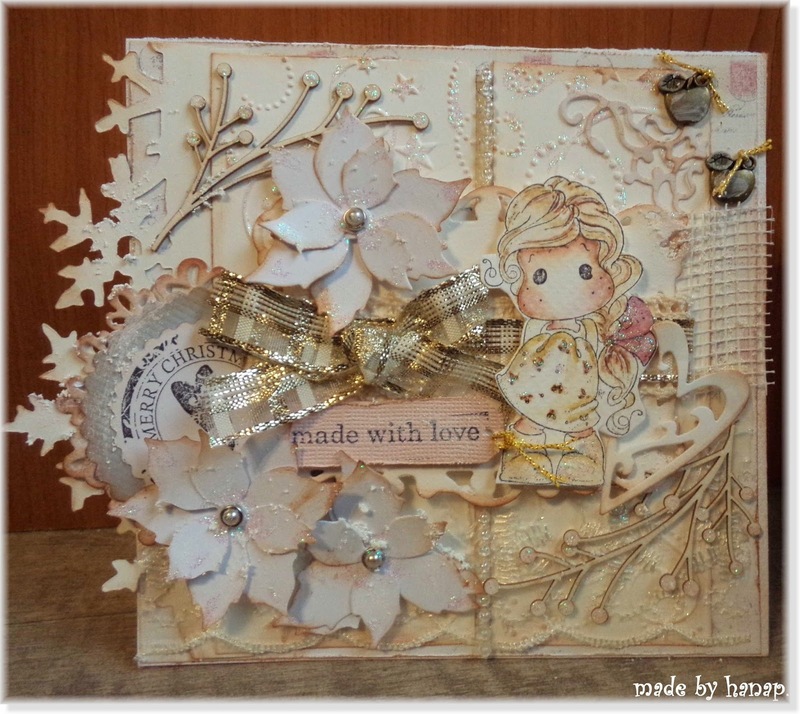 There is Devine Tilda, Magnolia Post Vintage stamp. 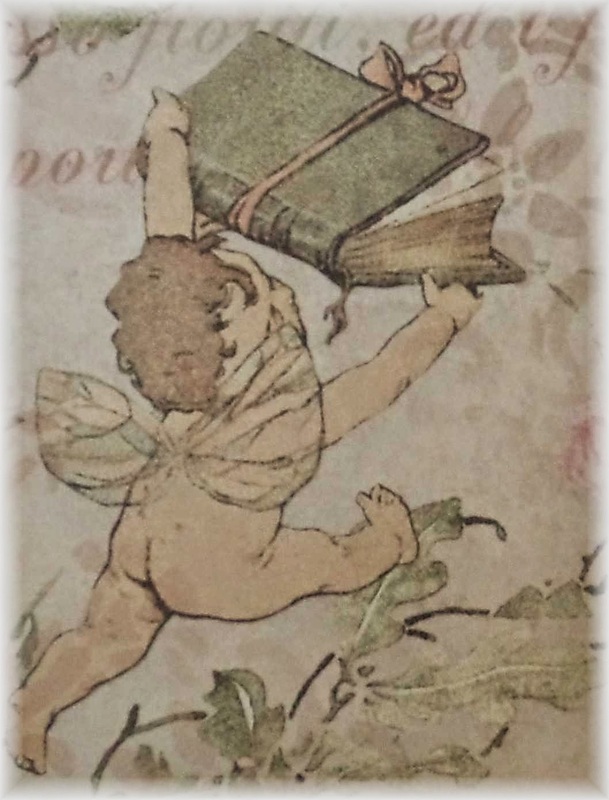 A detail of the paper on the back side of the card. It is from Stamperia col.
Have a nice Advent time. What a lovely card Hana! 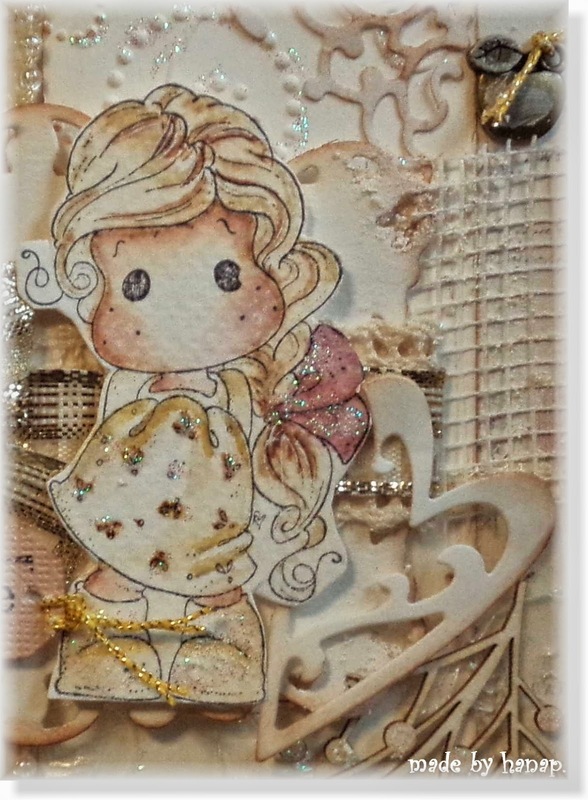 The details are fabulous, love the bow and the beautiful flowers. This card is truly magical. I like the rich decoration. 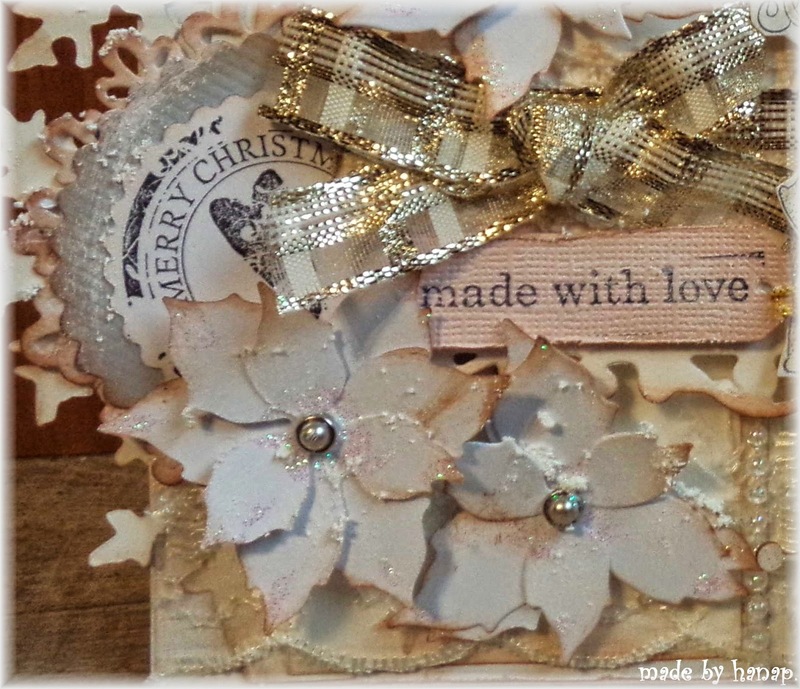 pretty Tilda Christmas creating Hanap! 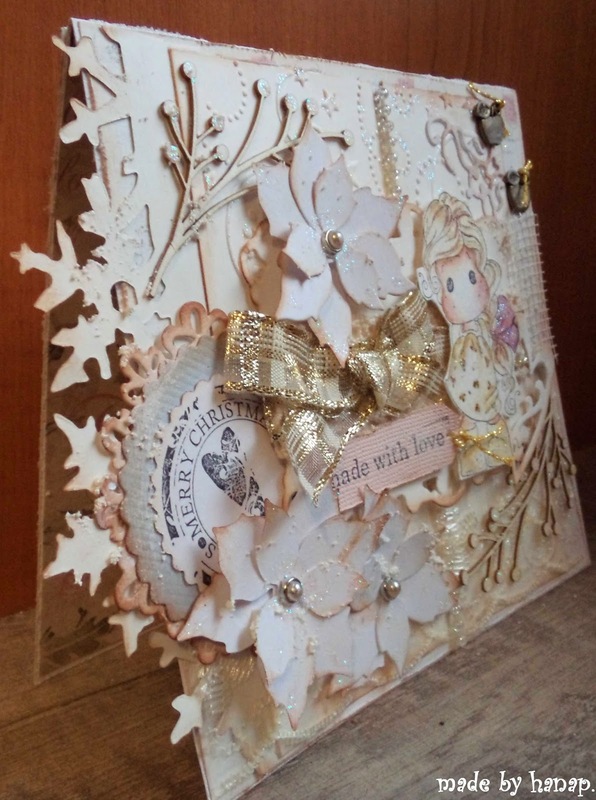 So glad you linked up to Tilda's Town Challenges this week! Thanks for playing!